New Jersey has always been greatly affected by hurricanes, oftentimes suffering severe damage to homes and businesses. We want your business to be prepared. Below is a checklist of how to prepare, as well as a list of websites and phone numbers you will find helpful in the event that your business is affected by a hurricane. Account for all hazards: Plan to manage any emergency. Think first about the basics of survival and then how to protect your business and employees. Obtain sufficient cash, seeing as ATMs and banks may be closed. Internal Communications: Talk to your staff and involve them in all levels of emergency planning. Have various means of communicating with them and create a staff phone tree. Also make sure you have a list of vendors, insurance companies (have your policy number ready), contractors, and anyone else you may need to contact. Keep this list at home or in a safe place outside your restaurant or hotel. External Communications: Make sure you have a communications plan to inform the public if you are closed and to cancel reservations if need be. Update the public on your business activities. Carefully evaluate internal and external operations: Determine which staff members, procedures, and equipment are necessary for the business to keep operating. Make sure all your emergency equipment is in good working order (e.g. generators). Secure your property: Board up windows, place sandbags by doors and entrances, remove ice from machines, and unplug appliances and electronics. Prepare for utility and essential service disruptions: Know what to do for extended outages during and after a disaster. This can include electricity, portable water, gas, and phone system. Reduce your food supply: Consider donating to first responders, shelters, and emergency facilities. Cyber Security: Make sure your data and information technology are protected. Engage with local government officials: Let them know if you are available to help the community either by providing shelter or feeding the community. Keep them updated on whether your business is open or closed. NJOEM works closely with our federal, state, and local partners to prepare for all hazards, natural or manmade, that could affect New Jersey’s families, communities, and businesses. 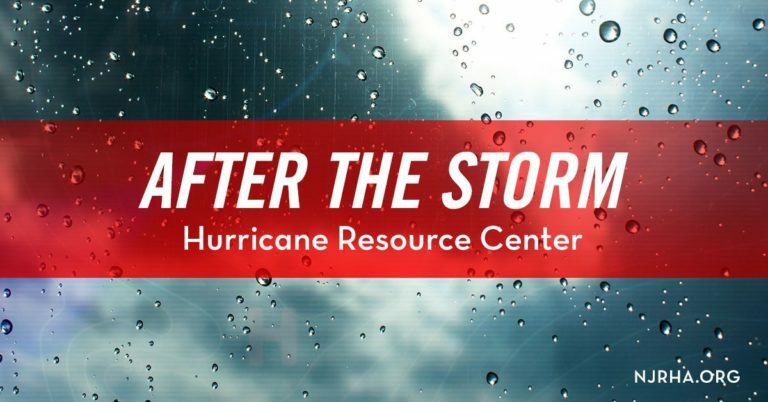 You can find current weather and traffic, information on how to prepare and plan for an upcoming disaster, resources for emergency management for businesses and industries of all sizes, evacuation routes, information on disaster recovery, how to volunteer, and information on how to apply for disaster public assistance or money. ​Visit this section of the NJOEM website to find information on electric companies and gas companies. Both temporary and long-term options are available. NJ 211 is a community resource database that can help you find solutions to personal needs by sharing information on hurricane long-term recovery, FEMA assistance programs, power outages, info on cleaning your home after a flood and removing mold, flood fire safety, filing flood insurance claims, day care facilities, shelters, affordable housing units, social services, employment training programs, senior services, medical insurance, and more. You can either access NJ 211 by clicking the link above or by calling 2-1-1.